South Korea's three mobile carriers launched today, along with USA telecoms company Verizon. South Korea has claimed it beat the United States by a matter of hours to become the first country to roll out a super-fast 5G mobile network, which allows users to download entire moves nearly instantaneously. But South Korea's government says Korean companies launched their services for some customers before Verizon. In the USA, meanwhile, Verizon has claimed a world first by launching in parts of Chicago and Minneapolis on Wednesday, a week earlier than planned, also with a single device - a 5G clip-on module for its Motorola z3 smartphone, available to prospective customers. It has a total of 27 million users. "5G provides a chance for South Korea to take a leap again". 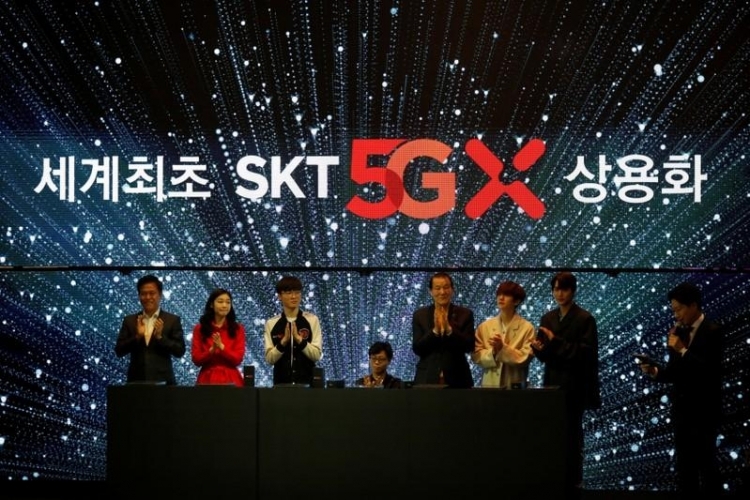 South Korea's mobile operators will launch their national 5G networks on April 5, with one compatible 5G device available to consumers.